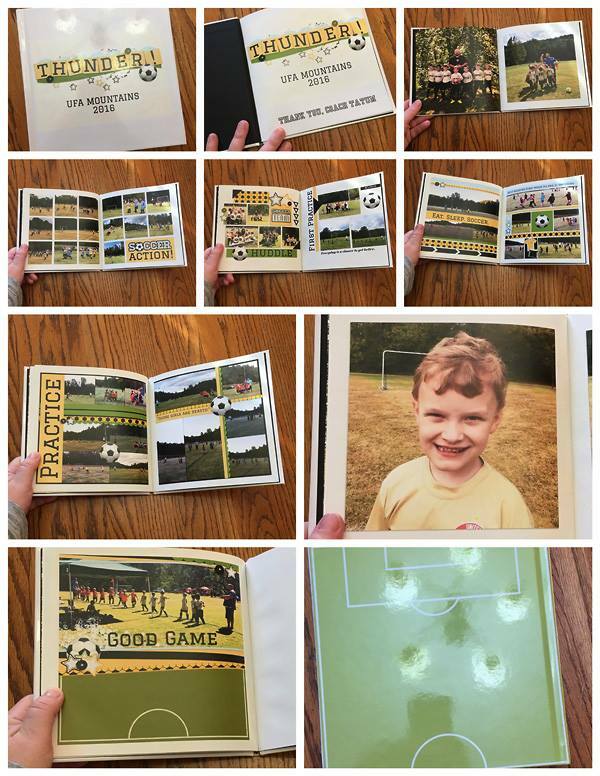 Amanda, who is the queen of putting together beautiful albums, and just happens to be on my creative team, put together this album for her son's soccer coach. I love how she used simple blocking, but then also added some pages in with some elements and papers. 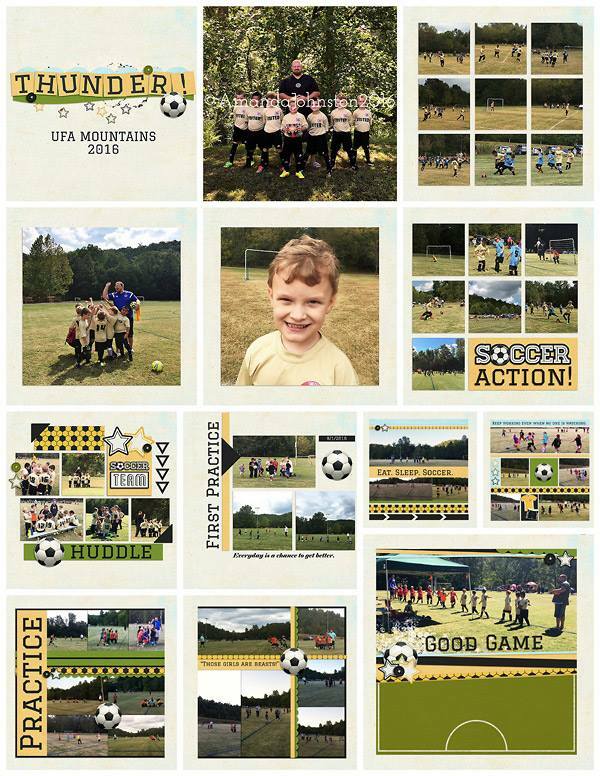 Not pictured are also pages of each team member on a single page (like her son's picture above). It's an 8x8 hardback Snapfish Album with a custom cover. I made myself a list of 20 pages and picked templates that I thought work. Then I just put everything in place. There is not much journaling. Just a couple of quotes. So that made it go even faster! I just used the one kit for papers and elements. That cuts down on time, too, because I spend much less time looking for elements that might work. This one was really quick to make! Isn't this a beautiful album? Nice and simple, but also personalized. I bet the coach will treasure it. Have you made a gift album lately?